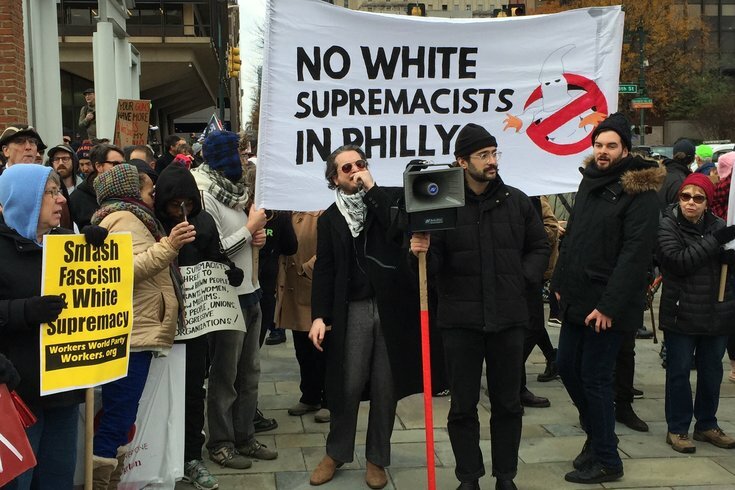 The protesters were loud and plentiful along Independence Mall for Saturday's PushBack protest against the 'We the People' rally. 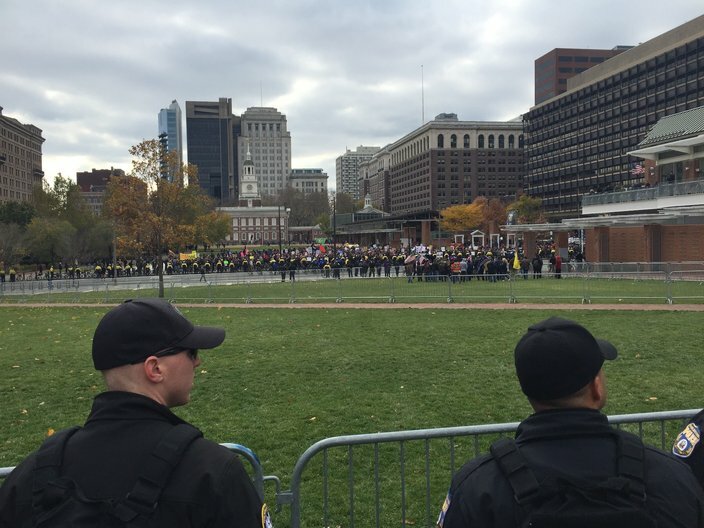 When people woke up on Saturday, they didn't know what the day would bring in regards to the "We the People" rally and PushBack counter-protests planned for Independence Mall from 11 a.m. to 3 p.m.
Philadelphia police officers worked to keep the sides separated on either side of Market Street between Fifth and Sixth streets. Tensions would spill over around 10:30 a.m. as they pushed protesters back across the street using a line of bicycles, and in the early afternoon, when rally attendees started making their way out of Old City. 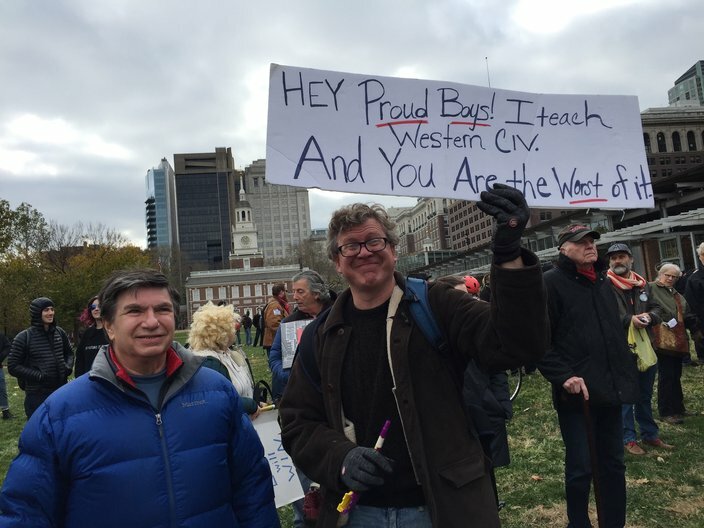 One protester brought a sign with an academic-styled insult for a group thought to have members in attendance at the 'We the People' rally on Saturday at Independence Mall. 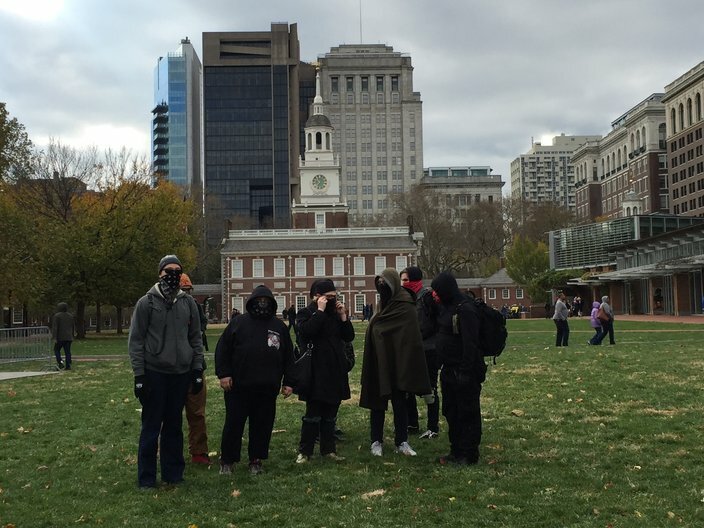 Independence Hall served as a backdrop for the PushBack protest against the 'We the People' rally on Saturday, November 17, 2018. 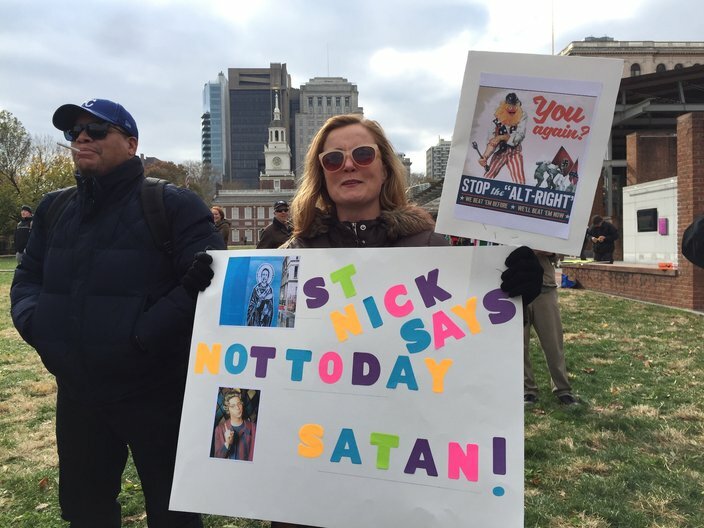 Hundreds upon hundreds of protesters flocked to Independence Mall on Saturday to stand against a 'We the People' rally that drew a couple dozen attendees. The sides were kept apart by barricades and lines of police officers on bicycles. 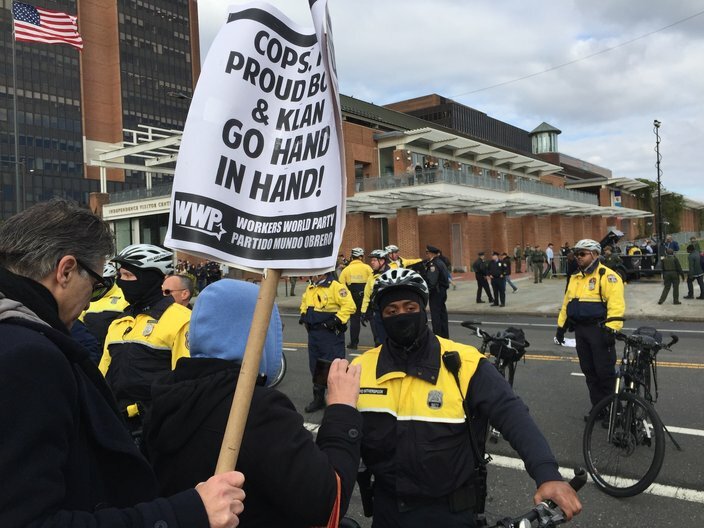 Philadelphia police officers worked to keep counter-protesters separate from those attending Saturday's 'We the People' rally, on Independence Mall. 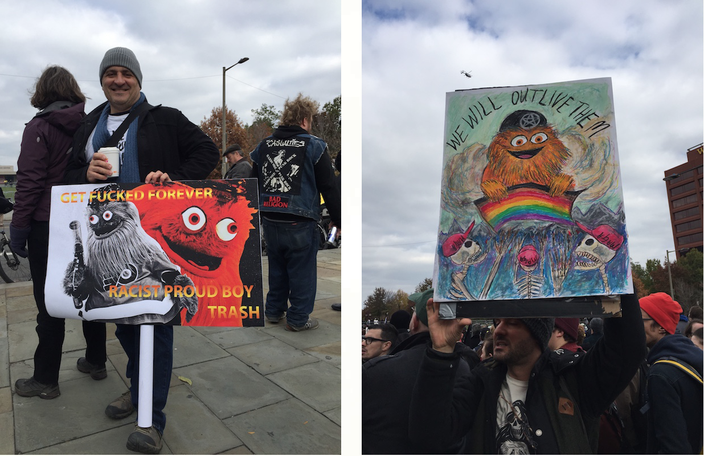 Gritty appeared on numerous signs at the PushBack protest. 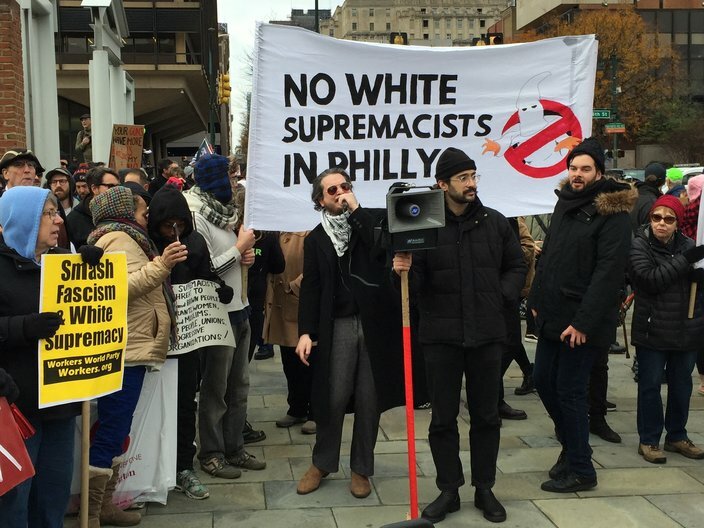 More Gritty signage during Sunday's counter-protest in Old City. 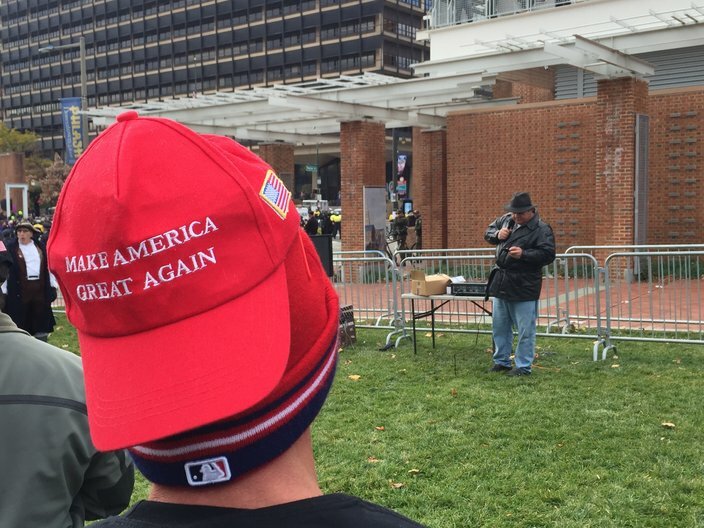 Bobby Lawrence, from south-central Pennsylvania, spoke at the 'We the People' rally about what he termed misrepresentations of attendees' words and actions. He also boasted of having a wider social-media reach than reporters who were permitted to enter the rally. 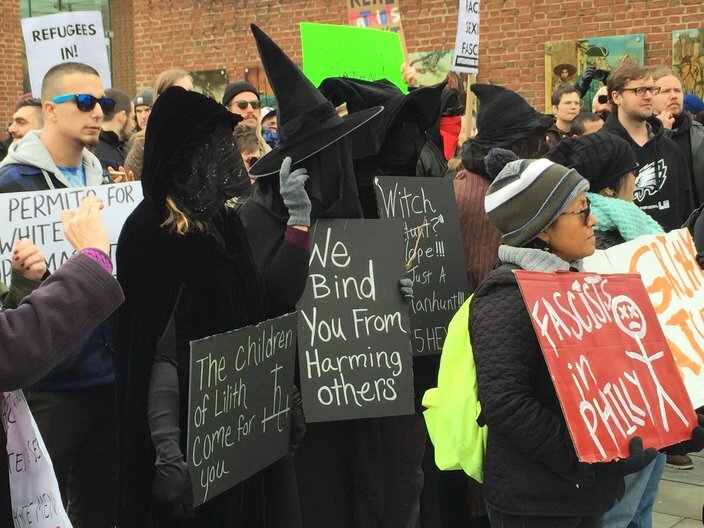 Some protesters put a lot of time into creative ways to make a political point. 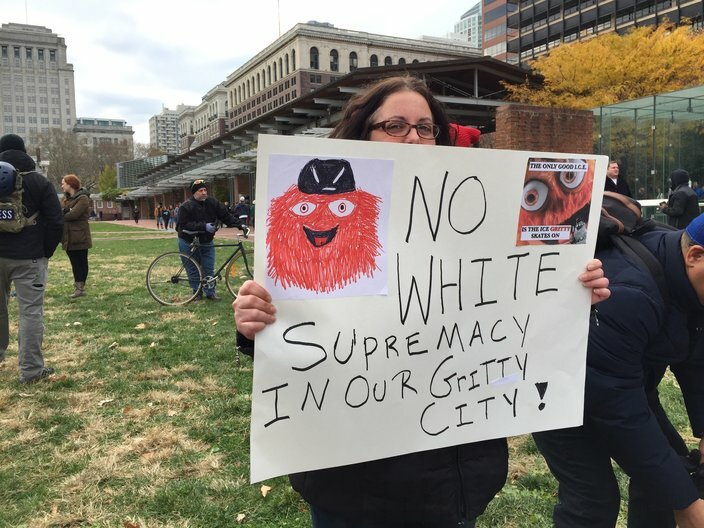 Gritty, the Philadelphia Flyers mascot, made his way onto a plethora of signs created by those protesting the 'We the People' rally on Saturday. Michael Bartolore, left, is a New York Rangers fan, but came to town from New York to stand against racism.